Hadil Nazmy, born in 1977, she lives and works in Alexandria. In 2005 she was awarded a Master degree in Art at the Faculty of Fine Arts of Alexandria, where she works nowadays as a lecturer. In 2008 she obtained a Doctor of Philosophy in Fine Arts. She has also studied film making at the SEMAT, within the Jesuit Cultural Center of Alexandria. She took part in several workshops, residencies and programs related to independent movie making, visual art: film making and documentary. 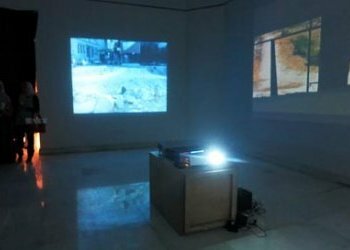 Her process-oriented multidisciplinary art projects include Art Research,videos, films, texts, photography, and site-specific installations that investigate marginalized concepts of the image and the phenomenology of projected imagery. Nazmy’s art addresses issues related to identity, loss, signification and memory, Much of her works is born of her own cultural context, her own identity, related to her personal experiences and to the Egyptian society. She was part of the Egyptian selection during the 12th BJCEM in Napoli. She is also a contributor to the 2009 collective art exhibit “Memory and Futurism.” Her films and videos have been screened in the Middle East, Asia, Europe and North America and other works have been included in international art exhibits. 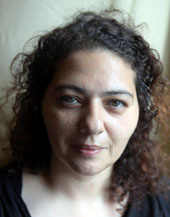 In 2005, her film “The Elevator” received several awards, including the Golden Falkon for best narrative short film at the 5th Arab Film Festival of Rotterdam. 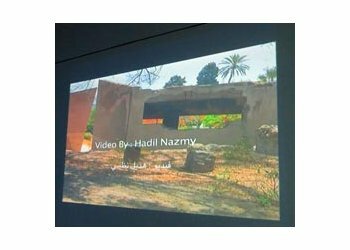 In 2013, she is Contributing Guest teacher in collaboration with École supérieure d’art (ESAAix), Aix en Provence, France LaboFictions Video Summer Camp, an international video creation workshop and network video project for art students around the Mediterranean. Her work has been documented in a wide range of art publications from Cairo Modern Art to Camera Obscura. A girl finds herself locked inside an elevator, she can’t contact anyone due to unknown problem, she receives a wrong telephone call. All of a sudden the caller starts to flirt with her while she can’t restrain him. The wrong telephone call develops and switches to be a sentimental relation via telephone and the girl starts to reflect her desire not to leave her siege.